In the run up to the Festival of Leadership this month, we will be sharing profiles from the speakers taking part in the event. First up Guy Watson, boss of Riverford. 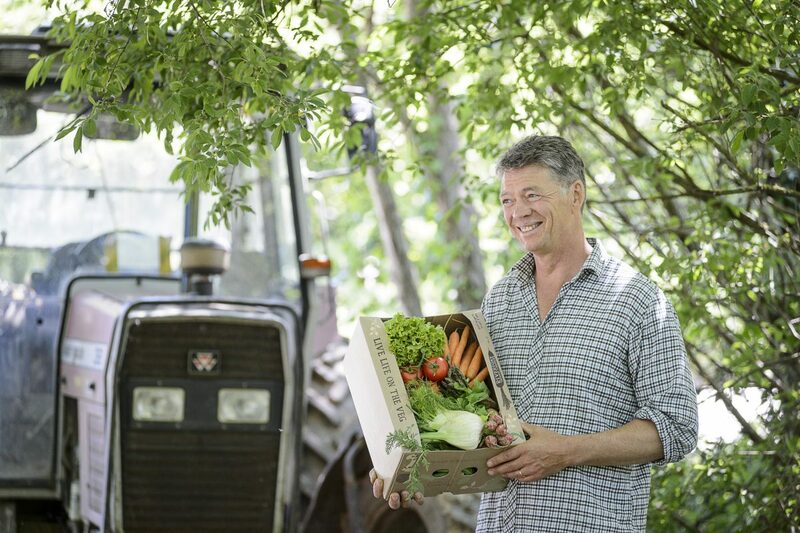 Self-made millionaire entrepreneur Guy Watson has described himself as a ‘veg nerd’ whose desire to provide affordable organic produce for everyone – not just the elite – led him to set up vegbox company Riverford. Based in Cornwall, he still surfs (“I feel better when I come out of the water than when I go in”) and writes a regular blog on the world of fruit and vegetables. Before giving a talk at the Festival of Leadership, Guy whets our appetite with some of his thoughts on leadership. “I was at least 40 before I realised nobody was like me. I am almost addicted to risk but it took me that long to understand that most people are fundamentally risk-averse. It was not until I reached this age that I also realised how diverse we all are and a big lesson for me as a leader was understanding other people’s responses to situations. As I approached 50, I learned that people perform best when they feel good about themselves. I therefore believe that as a leader we need to highlight this in others. This knowledge led me to change my management style: now when someone has done something well, I make a point of acknowledging it, often in front of their colleagues. There are many different leadership styles and you can lead people in good and bad ways, but I think to be a powerful but responsible leader, self-knowledge is incredibly important. You need to deeply understand what your motivations are and if you don’t, there is a risk your management style could become dictatorial. More tangibly, knowing what you are good and bad at and having people around you who will question you is crucial. My family have certainly kept a watchful and critical eye on me and although this can be close to the bone, such feedback is very useful. One of the first to provide feedback was my book keeper who said she thought something I was doing was wrong. I was annoyed at first, but in the end I realised the value of her comments. My approach with business is to start with something I want to do, especially if it excites me and can generate genuine value. Then I start gathering evidence to support the view I have already taken. As a leader, knowing when to trust your gut feeling is really important. This comes down to accepting that a lot of our decisions are emotional but that afterwards it is important to question our decisions with a more logical process. I think I have a lot more self-doubt than other managers. Sometimes when I hear leaders on the radio, I feel like they are bordering on the insane as they seem to have such a strong will to prove themselves. Guy Watson will be part of an interactive discussion on ‘responsible leadership’ at the Festival of Leadership on the evening of 17th November in the Mshed.